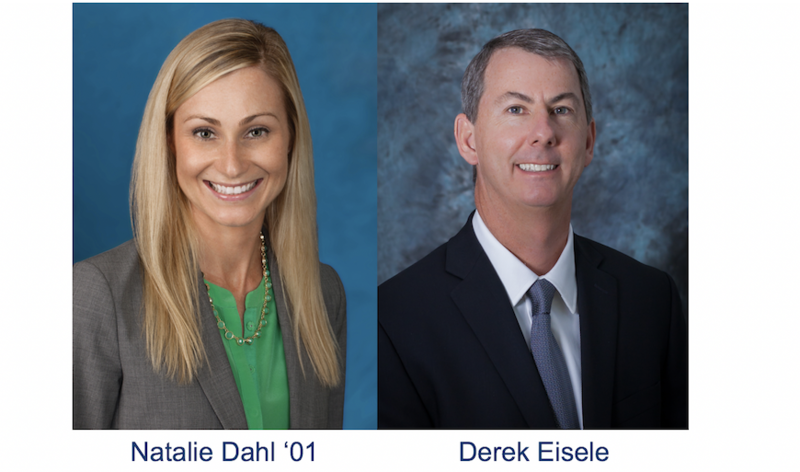 The Burnham-Moores Center for Real Estate (BMC), within the University of San Diego (USD) School of Business, has announced the appointment of Natalie Dahl ’01 of CBRE San Diego and Derek Eisele of Silvergate Bank as the newest members to its policy advisory board (PAB). The PAB provides policy guidance and financial support to the BMC and real estate students at USD. 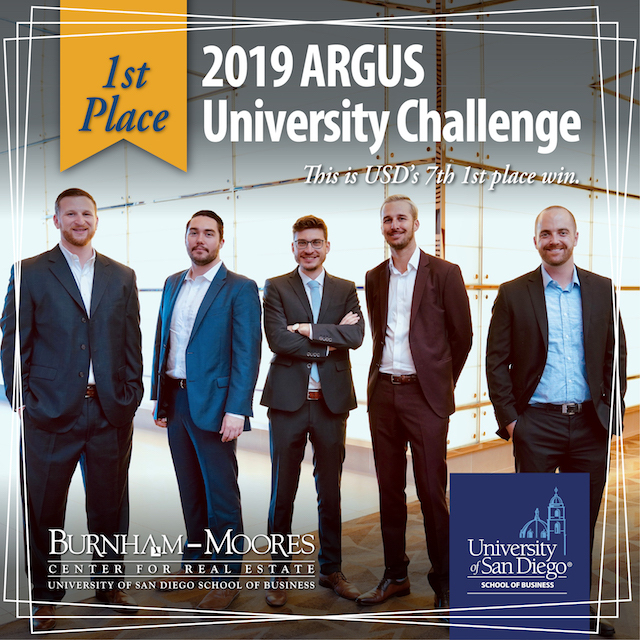 “Natalie’s expertise in capital markets across all property types, and as a USD alumna, along with Derek’s broad experience across all aspects of banking and his longstanding tenure in the industry, will be of great value to our PAB and to USD real estate students,” says Stath Karras, executive director of the Burnham-Moores Center for Real Estate and liaison to the board. With these additions, the Burnham-Moores Center’s PAB encompasses 45 appointees who take an active role in teaching, mentoring, advising, hiring and funding scholarships to support USD real estate students and also are instrumental in supporting the Burnham-Moores Center for Real Estate and its student-centric mission. Natalie is managing director at CBRE’s San Diego-region offices, where she oversees strategy for investor clients, including investor leasing, investment sales, debt & structured finance, property management and valuation & advisory services. She helps lead CBRE’s capital markets business across Southern California, Arizona and Hawaii. Previously, Natalie was a member of CBRE's Northern California capital markets team, providing strategic and operational leadership. Prior to that, she partnered with business line executives in CBRE’s Capital Markets, sponsoring and implementing game-changing technology solutions. Natalie also spent nearly ten years developing CBRE institutional group. Prior to joining the institutional group, she served as financial analyst for strategic accounts, where she led operational and financial initiatives. 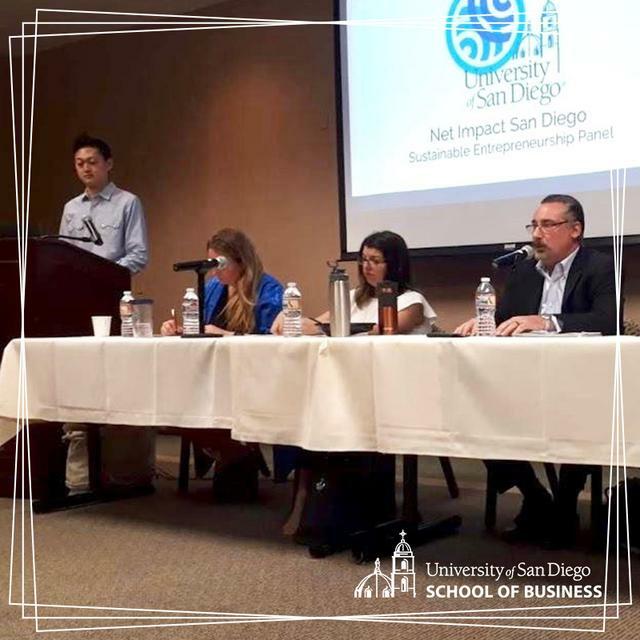 Natalie is a member of the board of the Downtown San Diego Partnership and a policy advisory board member of the Burnham-Moores Center for Real Estate. She received a bachelor’s in business from the University of San Diego. Derek Eisele has served as an executive officer and director of Silvergate Bank and its parent company Silvergate Capital Corporation since its founding in 1996. 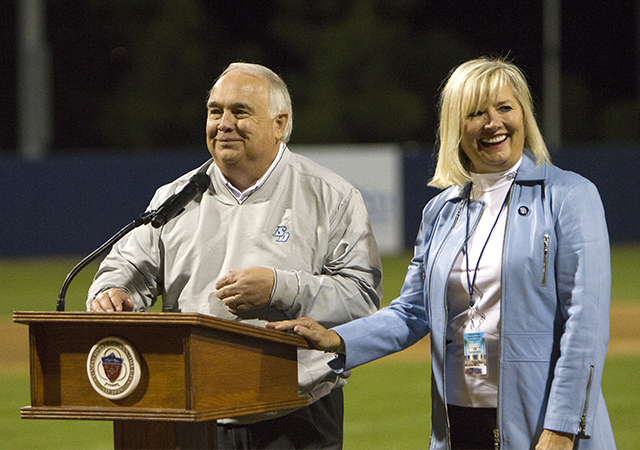 He holds the position of vice chairman of both organizations and is president of the Bank. Eisele is a co-founder of Silvergate Bank and has been an integral part of the Bank's growth to over $2 billion in assets. During his tenure Eisele has continuously overseen all of the lending functions at Silvergate and at various times has directly overseen all of the other areas of the bank. He was also an active partner in DSF Management Corporation, a real estate investment and management company, from 1994-2000. DSF Management Corporation invested in real estate transactions in excess of $250 million during a six-year period, generating an internal rate of return in excess of 27%. In aggregate, Eisele’s asset management experience exceeds $4 billion, including performing, sub performing, and nonperforming loans as well as REO properties. He is a former board member of the Country Montessori School and a former mentor at the UCSD Preuss School. Eisele has a bachelor’s in business from the University of Delaware and earned an MBA from the University of Houston.